One step inside Red’s on the River in quaint little Rockford, MI and you feel your whole body un-tense. 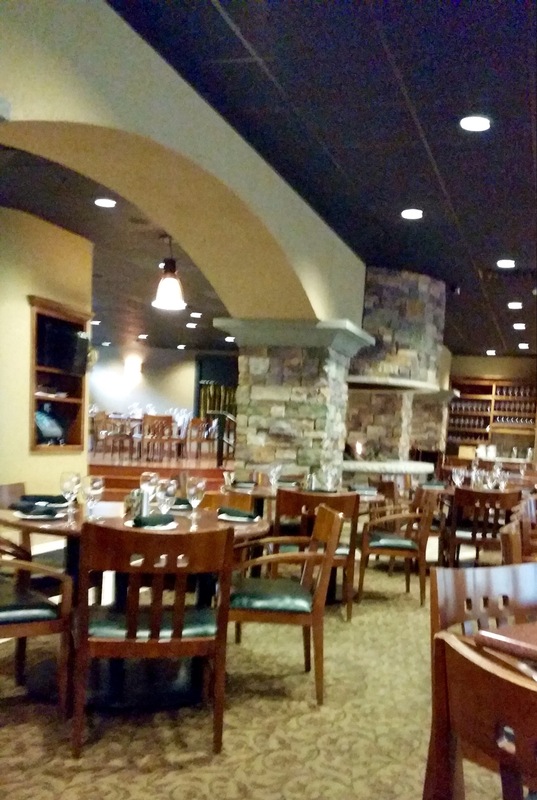 A roaring fire pit greets you as you are led to your table. During warmer months, diners may sit on their huge outside deck alongside the Rogue River and enjoy the beautiful western Michigan views and weekend downtown concerts. Our three entree choices were well prepared and served at a relaxed pace by our wonderful server, Mathew. 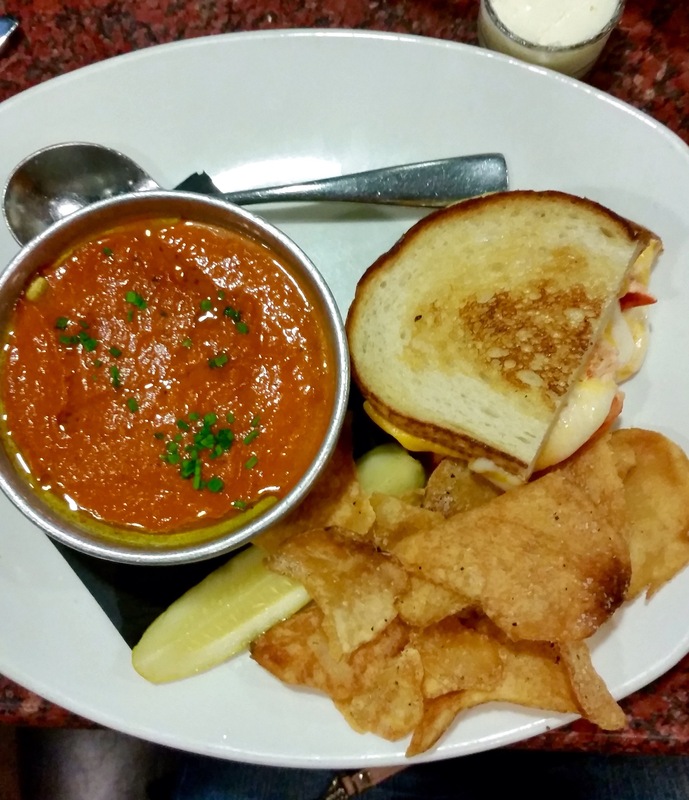 A lobster grilled cheese was loaded with succulent, perfectly cooked lobster meat and accompanied by a bowl of tomato basil soup with a smokey twist and house made chips. 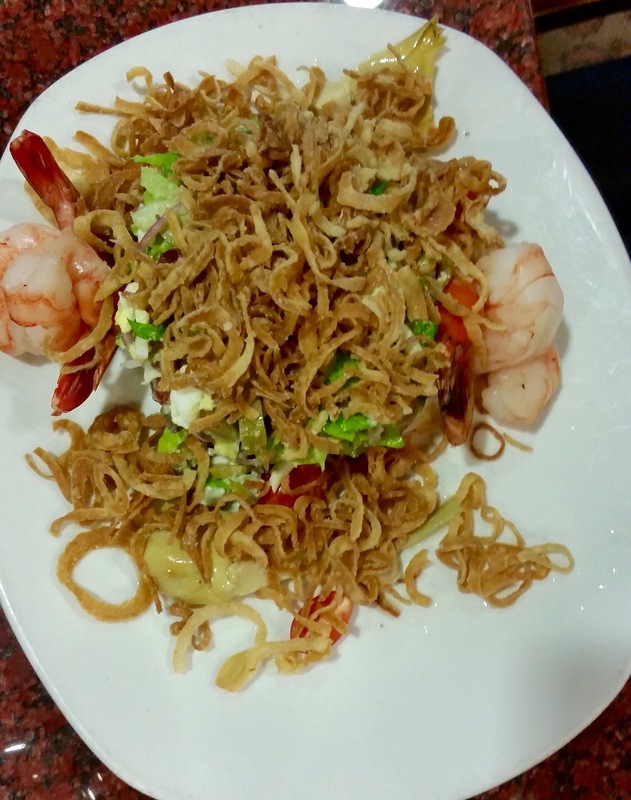 Likewise well prepared and presented shrimp chop salad is stacked napoleon-style and sprinkled with a blanket of thinly sliced fried onion rings. The 4 large shrimp sit regally alongside the stack. 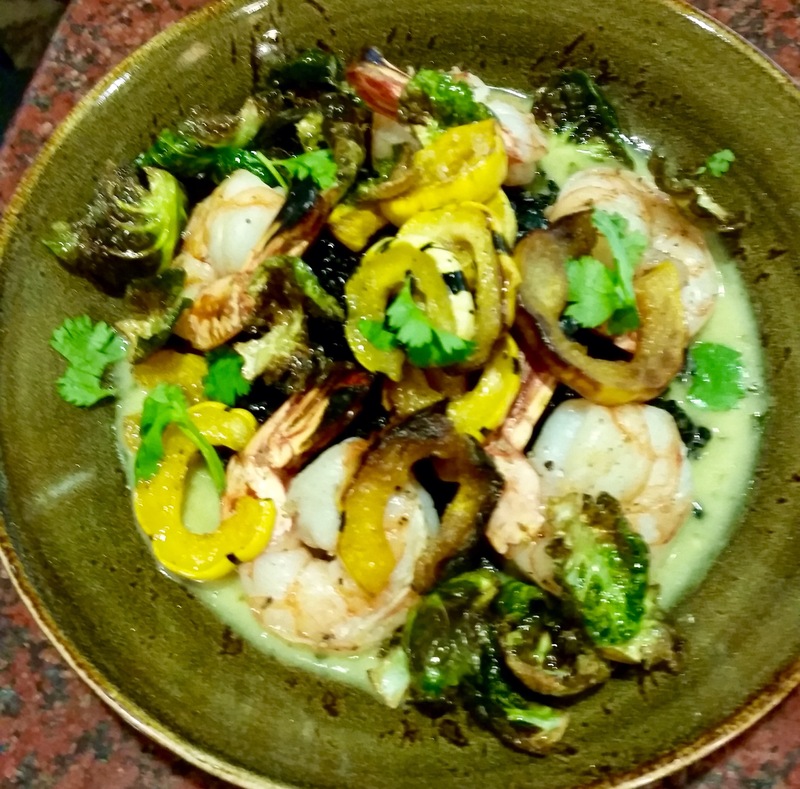 Finally, an artfully prepared and well conceived “bowl” of asian shrimp with green curry that had some unexpected ingredients not normally seen. On a bed of forbidden black rice sit shrimp, piquillo peppers, shaved brussels sprouts and cilantro. A slosh of Thai green curry completes this winner. Next Next post: This book is on fire!